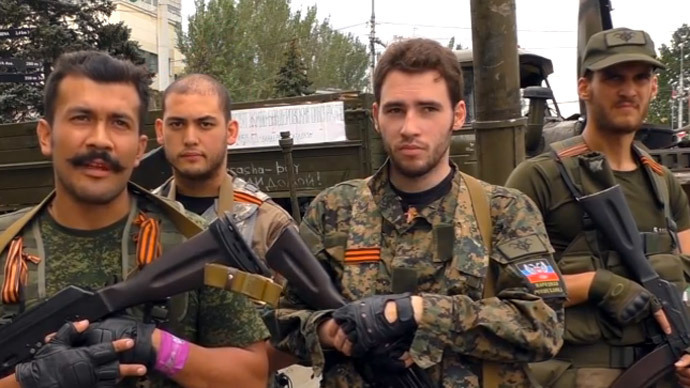 European volunteers are streaming into Ukraine to join the fighting on both sides. While Kiev’s forces are beefed up with mercenaries from private military companies, Europeans have also come to defend the rebel Donbass region of their own free will. One of the latest reinforcements of anti-Kiev troops in Eastern Ukraine are four French ex-serviceman who have come to fight this war, thousands of kilometers from home. “It’s our war. It’s everybody’s war, it’s every European’s war,” Guillaume, a French fighter in Ukraine defending the Donbass region, told RT’s Paula Slier. Another volunteer, 25-year-old Nikola, used to be a professional soldier with the elite French mountain troops for five years. Now he’s putting his skills to good use in Ukraine. 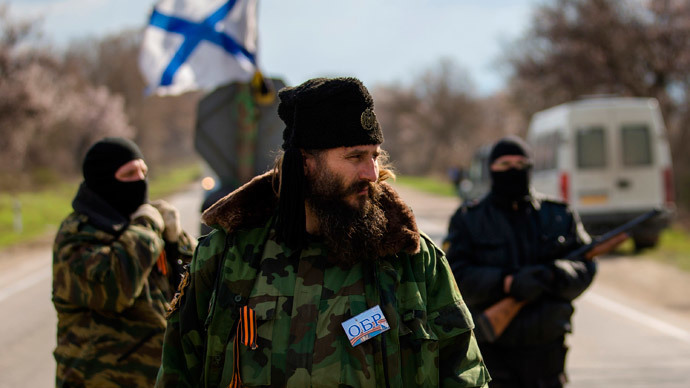 Alongside a contingent of other foreign volunteers, he’s training anti-Kiev forces in urban guerilla warfare. “These are people’s militias, these are not mercenaries or professional soldiers, so they need instruction,” Nikola told RT. The French volunteer explained that the presence of European volunteers among Ukraine’s rebels carrying out what they call “a military operation for protecting civilians” in the country’s east is symbolic. “For many of these people from the west, it's their first time to come and defend what is considered by western governments a bad cause, or the bad guys’ cause. So it’s very important to show that people from the west are distinct from their governments and they are ready to come and fight and risk their lives to defend another world,” Nikola said. 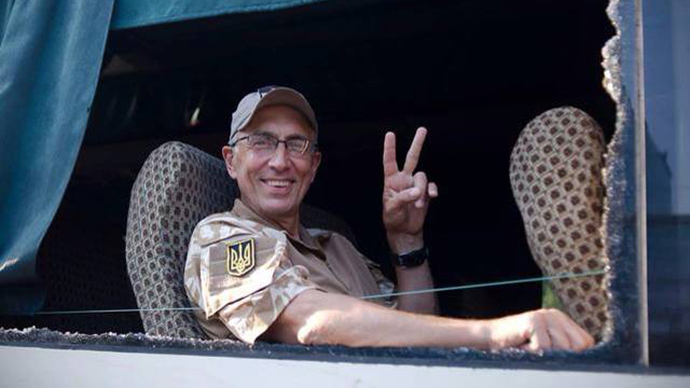 And more and more overseas fighters are signing up and joining the anti-Kiev troops. RT’s Paula Slier found out that volunteers are coming to the Donetsk frontline not just from France, but also from Spain, Poland, Israel and the United Kingdom. 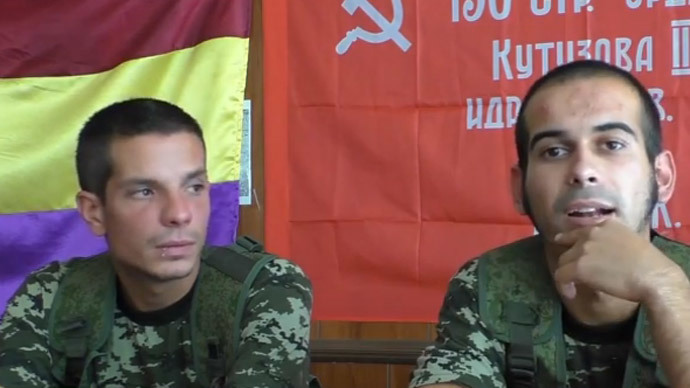 Aleksey Mozgovoy, the commander of ‘Prizrak’ (Ghost) brigade from the Lugansk Region said in an interview to the MK.ru news outlet that in his 1,000-strong battalion there are fighters from Bulgaria, Slovakia and Germany. One of the largest international forces fighting against Kiev’s troops is a unit of volunteers from Serbia, according to the interview. The ‘Jovan Shevich’ squadron allegedly consists of 250 fighters and is actively operating in the Lugansk Region. Earlier this week, the Chairman of the Council of Ministers of the Donetsk People’s Republic, Aleksandr Zakharchenko, revealed in an interview to Russian media that up to 4,000 Russian citizens, many of them ex-servicemen, have joined anti-government fighters during Kiev’s crackdown in Ukraine’s east. 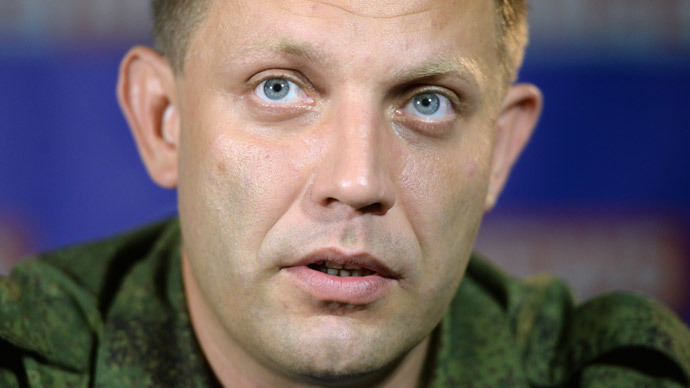 “Without them, it would hard for us to go on with our fighting,” Zakharchenko said, stressing that at the moment many of Russian citizens have already returned back home. 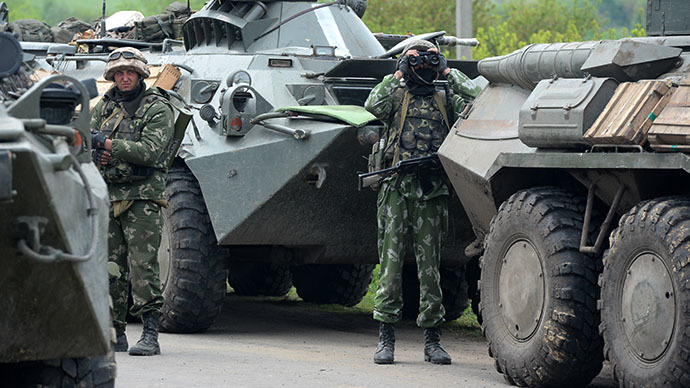 The latest developments in the warfare in Eastern Ukraine, where up to 7,000 Ukrainian troops and National Guards units have been entrapped in three separate encirclements, give hope to the rebel forces. “We believe that the Ukrainian army will not be able to last until winter or even fall, because each day that goes by they lose money, they lose motivation, they lose manpower, they lose ammo. So each day that goes by, they grow weaker, while we grow stronger,” French fighter Guillaume told RT. Europe now finds itself between a rock and a hard place: What to do as more of its young men sign up to fight against its ally? “Legally, we do not see what the French government can do to us because first of all, we are not paid, so we’re not mercenaries, we’re not terrorists, we’re not jihadists, and of course it’s a mission of information, it’s a political mission, it’s a mission of soft power,” Victor Lenfa, Commander of the French team in Ukraine, told RT. 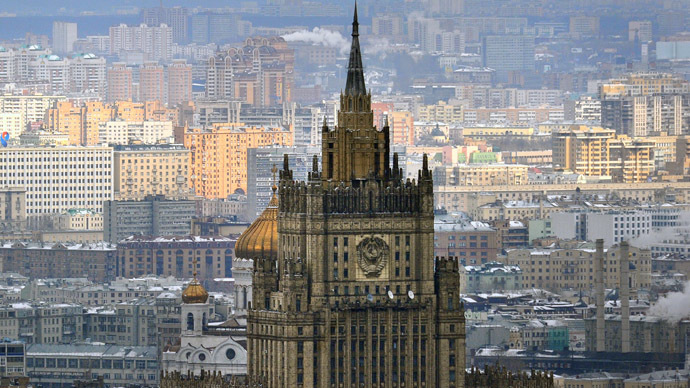 After the UN Security Council on Thursday blocked Russia’s statement calling for a ceasefire in Eastern Ukraine under a completely frivolous pretext, Russia's envoy to the UN Vitaly Churkin had a heated debate with colleagues from the US and Ukraine, who again accused Russia of a full-scale invasion as a large number of Russian volunteers are fighting in Ukraine. 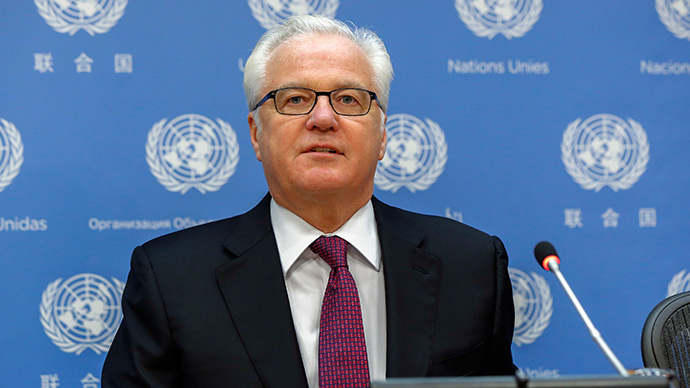 Vitaly Churkin fired back, saying that nobody ever tried to hide the presence of Russian volunteers, urging Washington to acknowledge the presence of US advisers in Kiev and why mercenaries from private military companies are waging war in Ukraine. “Maybe our American colleagues can tell us what tens of American advisers are busy with in the headquarters of National Security and Defense Council of Ukraine [in Kiev]? 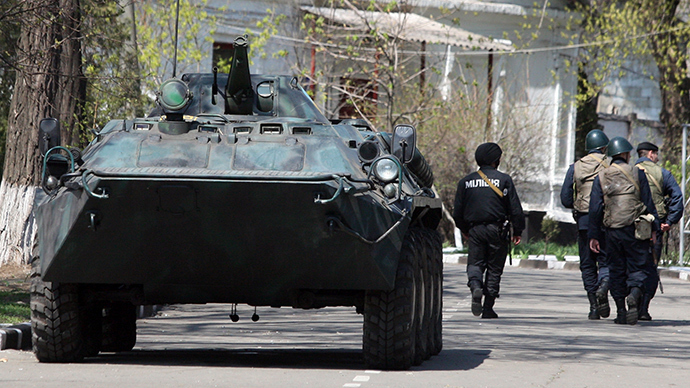 Let them tell us how many American mercenaries from the so-called “security provider” companies are fighting [in Ukraine], thousands of kilometers from their home ground?” demanded Churkin, not forgetting to mention first-rate US-made armaments observed in Ukrainian units. Exactly one month ago, Russia’s Rossyiskaya Gazeta daily quoted Igor Strelkov, the former Defense Minister of the self-proclaimed Donetsk People’s Republic, who claimed that as of the end of July, self-defense militia had eliminated up to 330 mercenaries representing a number of foreign private military companies. Strelkov specified the casualties from each of them, saying that Polish private military company ASBS (Analizy Systemowe Bartlomiej Sienkiewicz) Othago lost 139 mercenaries, American Greystone Ltd, a subsidiary of Vehicle Services Company LLC belonging to Blackwater/XE/Academi, lost 40 fighters, while Academi itself lost 125 personnel.